Based on our government’s advice to “make half your grains whole” and ahem…”handy” tips (like “You can do it, wherever you are – at home, at school, at work or when eating out!” from Health Canada or “make simple switches” from the US government), you’d think switching your spongy white bread out for a dense, whole-grain one would be simple. I’ve been trying for over a year and it’s been naïve failure after failure. Why? Because I can’t actually find whole grain bread that’s free of additives. 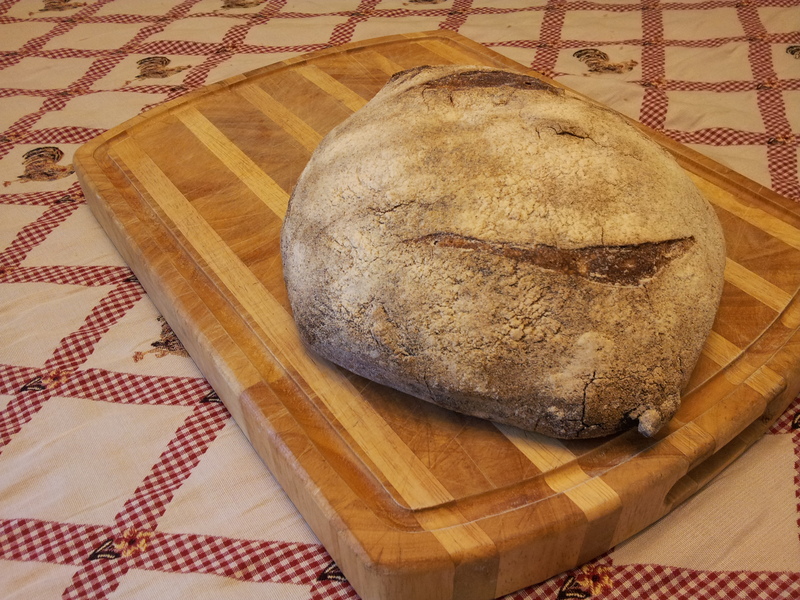 Bread, in its simplest form, is crushed grain and water. I know from cooking experiments in university (on a George Foreman grill, no less) than this type of bread isn’t very tasty. But add yeast (like the Egyptians did around 4,000 BC) and you’re in business – lighter loaves with better texture became a staple. The Greeks made partly refined grain breads way back in 300 BC and since then, white bread has been connected with class status and money. Hence, nobody wanted to be the sort of person who ate brown bread1. The shift to eating white bread made from refined flour came as women starting purchasing bread outside the home during the Industrial Revolution. Clean white bread made by machines still holds a special place in our collective minds and at our tables. We need a formdiable cultural shift to overcome such a long history of eating white bread. The nutritional evidence for whole grains is clear. Whole grains are natural, containing the full bran and germ of the plant. So many vitamins go missing during the process that refines whole wheat flour to white flour that synthetic versions of the same nutrients are mandatorily added back in to prevent deficiencies. Back to the point: because of culture, taste, and probably shelf life, there is such little demand for whole-wheat (or whole-grain) bread almost nobody makes it commercially. Those that do add a heavy dose of preservatives and additives (like “dough conditioner”) to lighten the texture of their breads and help them feel spongy and “fresh”. (I should know; it was a trip to the grocery store in search of whole wheat bread that got me started on this journey.) Country Harvest, take note: diacetyl tartaric acid esters of mono and diglycerides have no place in my bread! You’d think the revival of small, artisan bakeries would mean access to whole wheat, but I’ve checked in with all the bakeries in my city, and none are producing a 100% whole grain loaf. In fact, the only place that used to recently stopped. 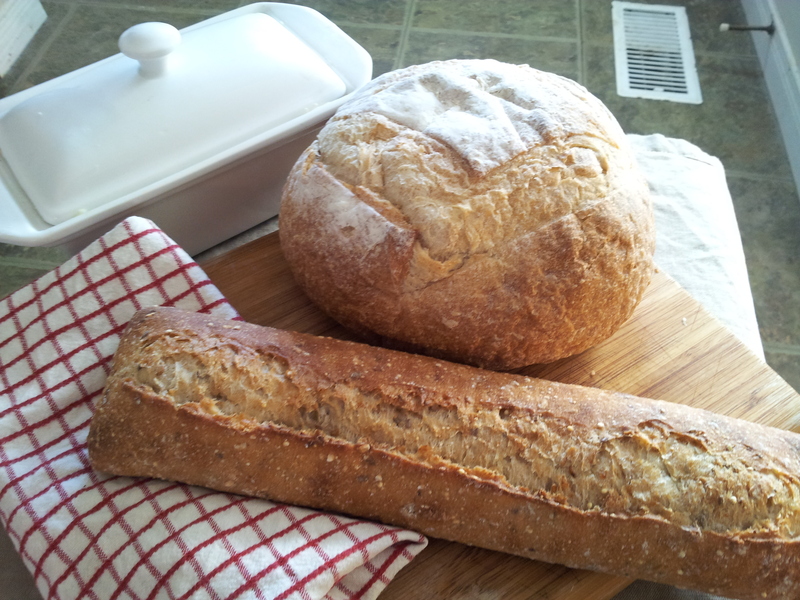 It’s a small local bakery that operates on a community-shared agriculture (CSA) model. If anyone makes it whole grain, these hippies must be the guys. When I used to brave the claustrophobia-inducing farmers’ market on Saturday mornings to buy it, they’d try to persuade me otherwise, saying “It makes bad sandwiches” and “Most people prefer the 60% whole wheat”. On my latest enquiry, they said that while we all know whole grain is better, people just don’t want to eat it – or buy it. So I have been unsuccessful my search. And before you say “Hey Jill, I know of plenty of whole-wheat breads you could eat”, get out those labels and double-check. Some of my staple breads are covered with seeds, are deep brown in colour, and weigh as much as a brick. But on further label inspection, none are actually 100% whole grain. Cases in point: Stonemill, ACE bakery, and those store-baked loaves that may or may not label their ingredients. In the meantime, apparently I’ll be sticking to RyVita.